You won't want to miss this first annual event to race down the Pere Marquette River in a kayak! This event is sponsored by three Scottville area businesses: Paddle Sports Factory Outlet, Henry's Landing & Canoe Rental, and River Run Canoe Livery. The event sign in starts at 8:30am on Saturday, August 19. Race starts at 10am on the Pere Marquette River, East side of Custer bridge. The ending location is on the Pere Marquette River, East side of Scottville Bridge. The total distance is 3 road miles (approximately 5 river miles). 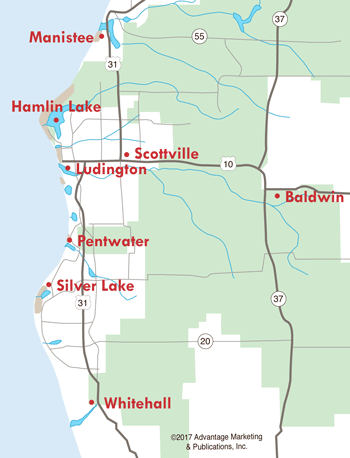 Racers will park at the Scottville boat launch area (overflow parking available at Riverside Park). From there they will be shuttled to the starting point. More details coming soon regarding check-in times, race numbers and parking/transportation. Please be sure to check your email provided in the registration form for updates.